Well i just got a new one. Retired the TV Raspberry pi 2 to use as a game console and the one I was using as a computer Pi 3B is now my TV box. Im currently using the pi 3B+ It has quad core 1.4ghz cpu and 512 mb or memory. using the Raspbian OS it is very comfortable with my tasks. Which include shitposting on facebook, shilling 4chan and of course lurking here. very pleased with it. Just an idea if anyone is looking for an inexpencive project. I build my own computers usually, but I've never understood what that was all about. As a member of the PC GAMING MASTER RACE I look down upon the likes of console players with much disdain, however using pis for geek stuff is highly rated in the nerd community. We're brothers at the top! its a $50 computer that is the size of an altoids tin that has a large amount of support software and a number of different operating systems for different uses, they are a lot of fun and cheap. What kind of operating systems and practical uses? Then main regular computer OS is Raspbian which is Debian but customised for the pi. The second most popular is RISC OS. Which was originally on the BBC Micro. It has continued to live and progress since then surprisingly and the version for the pi is very modern. I tried it and it is very functional. You can also put old versions of Mac OS on it for fun but not for function. Using it as a TV box there are two main operating systems which the names are slipping me. They are simply a dvr with access to all those streaming sites like solarvid and openload. If you want to pay money you can also have the cable channels work. It's through IPTV and mostly British channels. I did that for a while. The brit commercials are neat. Lastly is setting it up as a retro video game console. 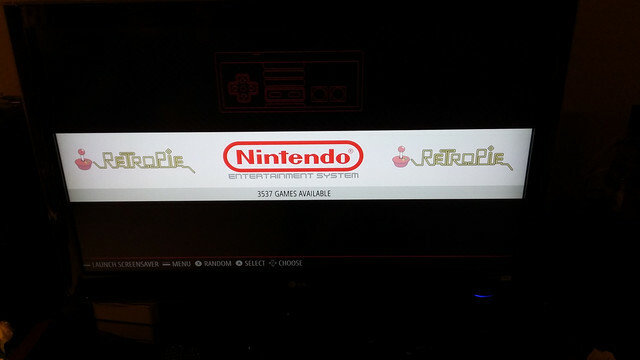 The os is Retro pi and once installed you use USB game controllers... you can download packages of Roms which are essentially all the games ever produced for the NES, Sega Master System, Atari 2600, commodore 64 and the other game systems of that era. I am currently working on this with one of mine. Now you've caught my attention, What kind of resolutions can this mini computer work with? I bought a neat little adapter for my Super nintendo that displays on a big screen TV 1080P/I . I have a commodore 64 and floppy drive sitting in the closet/ might be advantageous to have the games without having to bring out the big keyboard and floppy drive for the C64, or does the Raspberry need a keyboard? the raspberry pi uses an HDMI connection. I have one hooked to a fairly large flatscreen in my den. Its resolution is up there with my Apple TV.... You don't need a keyboard to use but you do to set it up. Any USB keyboard will do. But its doesn't hurt to have one of these mini wireless keyboards on hand. They are $15.... and yes for games you are limited to how big of an SD card you can find. each game rom is around 100kb. Supernintendo is another platform it supports. all the simple game cartridge machines are there. 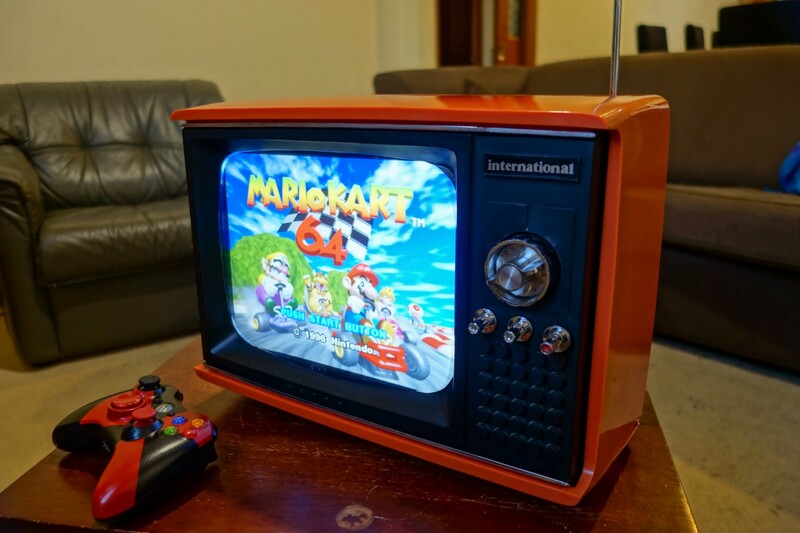 do a bit of reading on retro pi. got access to a 3d printer? That's kinda interesting! I might have to read up more(like I need another hobby!). Thanks for the info sir. That last pic, looks like a cross between an old C128 and Amstrad512 I still have LOL. No No 3d printer. I've thought about one of them too. I was a CNC machinist for about 9 months learned to program Lathes and Mills a little(forgotten most of what I learned), so they're kinda on my radar if I live long enough. Last edited by 1 Patriot-of-many; 02-09-2019 at 10:56 AM. I just got around to configuring my 3B+ with the Pi Hole software. It's amazing how much stuff keeps trying to report back to the mothership. The next step is to finish configuring a dynamic DNS host and moving my web site to the Pi. Here is mine running as an NES see how many NES games I got in it?